VOC-soldiers embarking at the Montelbaanstoren in Amsterdam. On the left we see a company of soldiers armed with muskets standing on the quay. 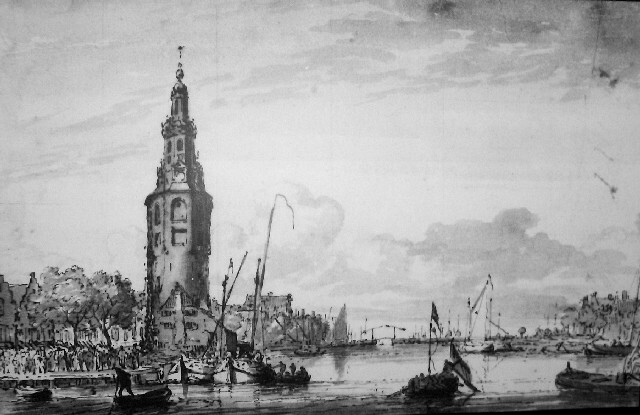 From this quay on the Oudeschans, the soldiers would be brought to the East Indiamen lying before Texel in small vessels, such as the two waiting in this drawing. Ludolf Backhuysen, pen drawing, ca. 1685.